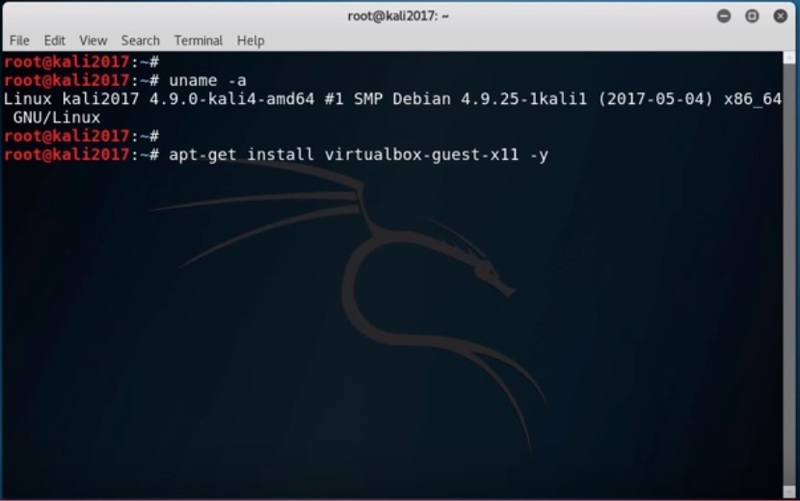 In this blog post I will show you how to install Kali Linux 2018.3 in Virtual Box. 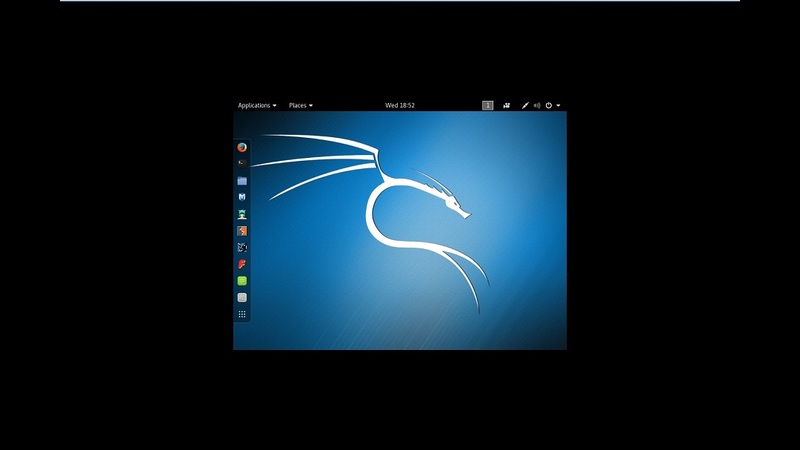 There are issues in getting the Kali Linux to display in full screen mode, most notably in getting the 1920×1080 resolution. Will fix that also. 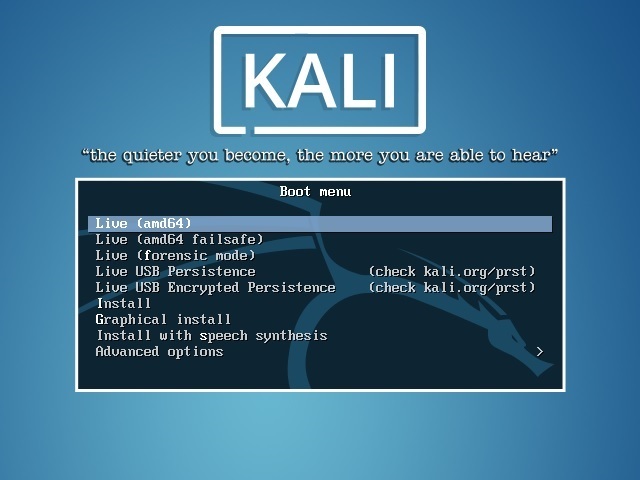 Just remember that Kali Linux 64 bit Light is the minimal distribution which will not contain all the features. You will have to install the tools you want later on. There is also an option to download the VMware image directly. But I prefer to create my own Virtual Machine which has all the tools installed, which this blog is all about. Since the file size is large, around 3 GB, I prefer to download via torrent because it is fast and flexible. You can find the downloaded image file in the downloads folder, if you have not changed the default settings. The filename would be something like kali-linux-2018.3-amd64.iso. 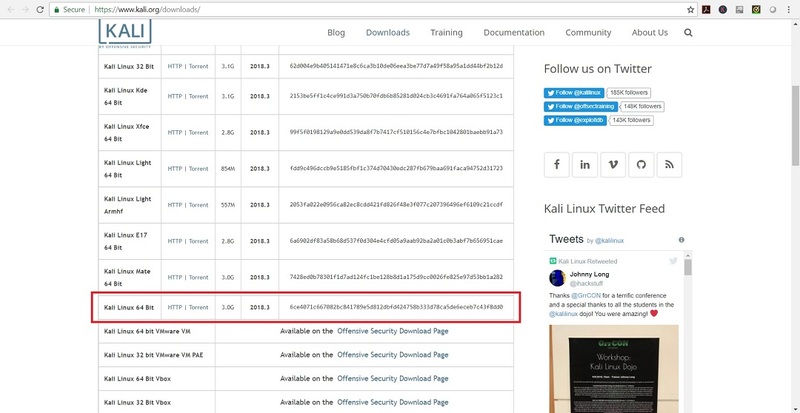 If you have downloaded through torrent, the ISO file will be downloaded in a folder, folder name would be something like kali-linux-2018.3-amd64. Lets start the installation process. 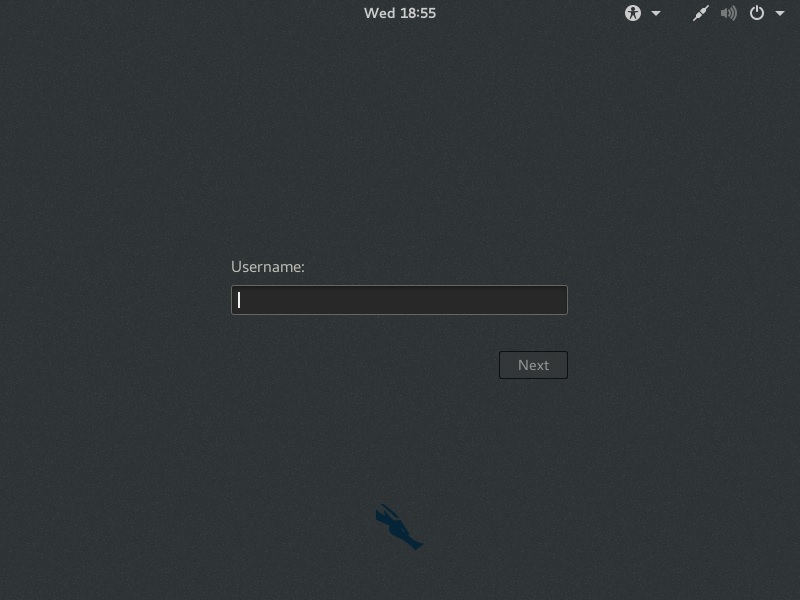 Open VirtualBox. If you don’t have it installed already, please visit my page. 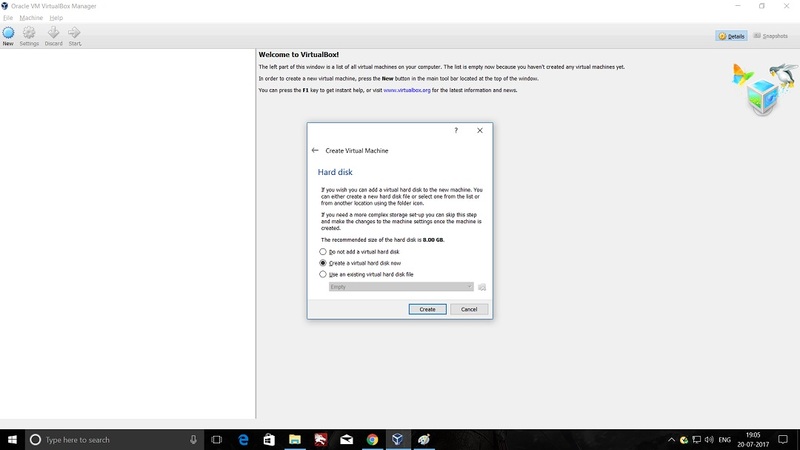 Step 4 – Launch VirtualBox Create Virtual Machine installation wizard. You can launch this by clicking New gear symbol in blue in the left side of the menu bar. The keyboard shortcut is Ctrl + N on Windows. In the Create Virtual machine dialog box, enter a Name for the Virtual machine. This can be anything you want. 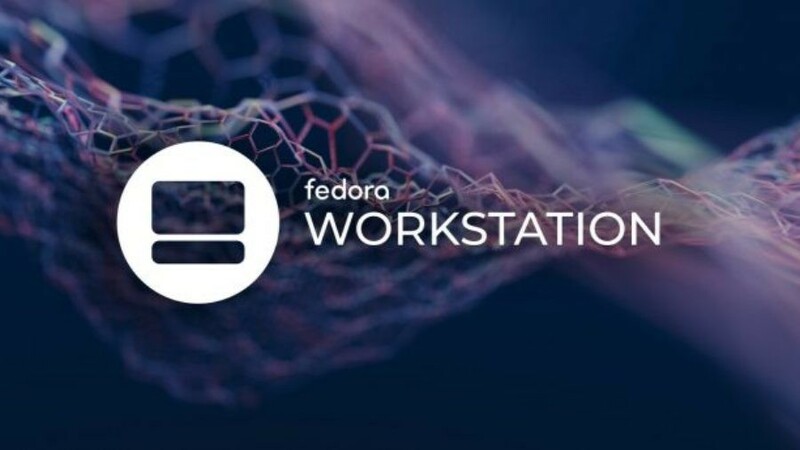 VirtaulBox will also create a folder by this name in your computer to store the virtual machine files, path to which is your users folders which typically is something like “C:\Users\User name\VirtualBox VMs” by default. User name is the name of the user you are logged in as in windows which will vary for all of us. Select Click next to continue. In this dialog box you will have to specify the RAM that you want the virtual machine to have. You can enter a value in the multiples of 1024 MB which stands for 1GB of Ram. So for 2 GB it would be 2048 MB. You could also use the slider to specify the RAM. Click on next to continue. In this dialog box you will asked if you wish to create Virtual hard drive. 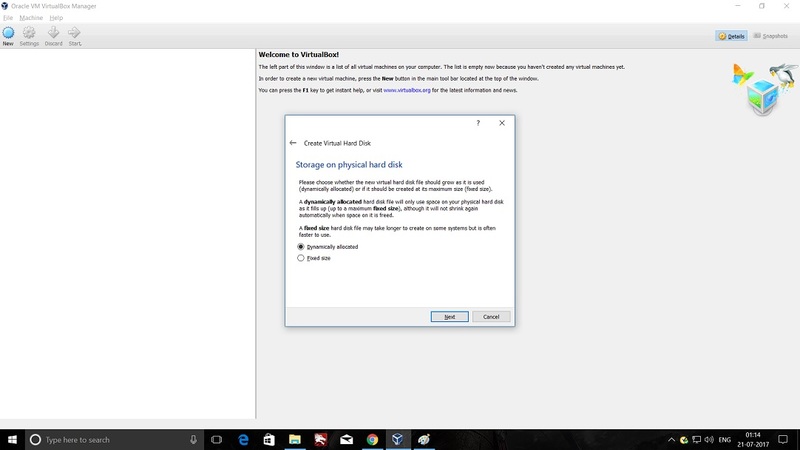 “Create a virtual hard disk now” is the default option. Leave it as it is and click on Create. In this dialog box, you will be asked to select the file type of the virtual hard disk. The hard disk that will be created is actually is file that will contain the virtual machine. 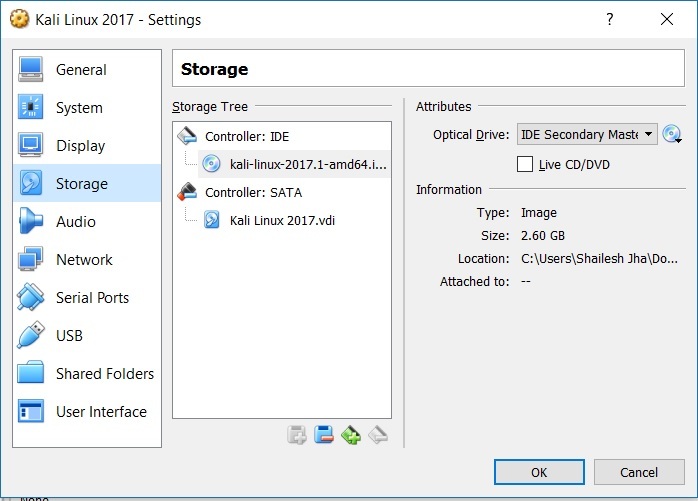 Select the default value VDI – Virtual Disk Image and click next. In this dialog box, you will be asked to how the virtual hard disk be created. Options are Dynamically allocated or Fixed size. Choose the default option which is Dynamically Allocated and click on next. 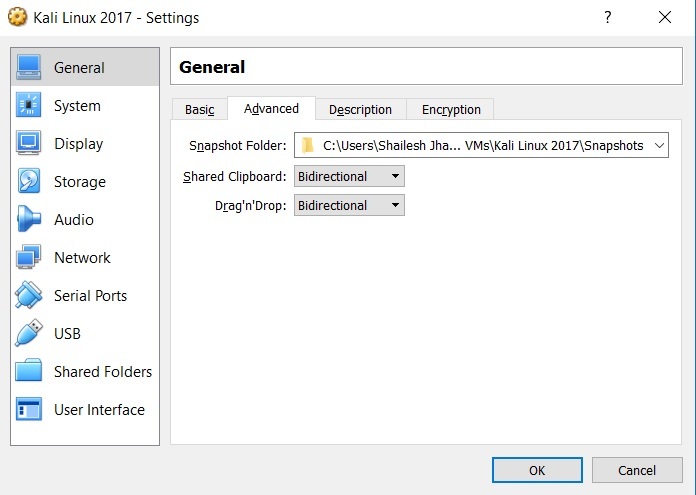 Please specify the name of the folder that will be created and also the folder location. 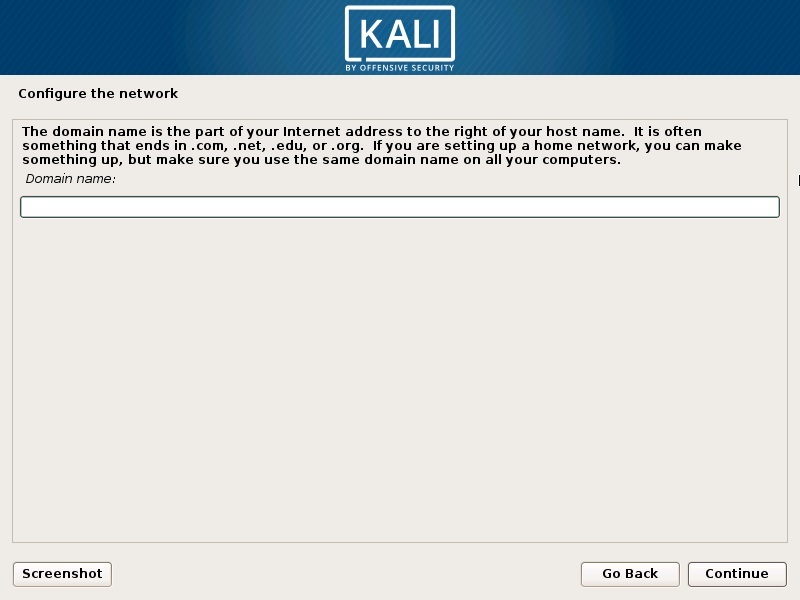 I choose the default location and provide a name such as kali 2017. This dialog box also asks you to specify the disk capacity. This is the maximum amount of disk space it will utilize once the Virtual Machine is created. Maximum disk size is 2 TB. 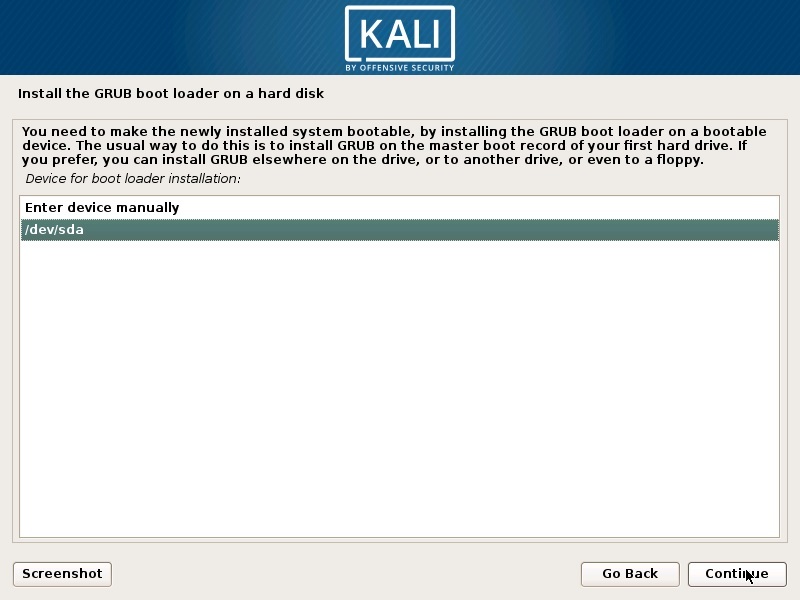 I was having problems creating Kali Virtual machine if the disk size was less than 30 GB. I created the Virtual machine by choosing 60 GB. Since you have selected dynamically allocate disk space in previous steps, 60 GB will not be blocked in your hard drive. Once you have tour VM ready, total hard disk space consumed would be around 13 GB which can expand dynamically till what ever size you specify here. 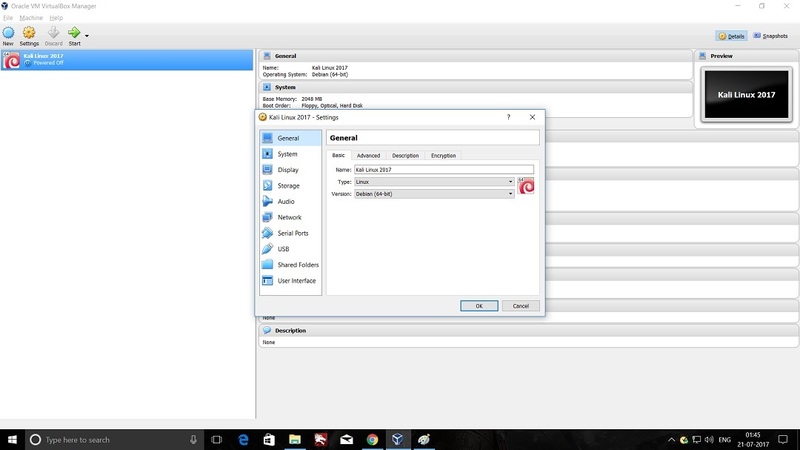 use the slider to select 60 GB disk space and click Create. 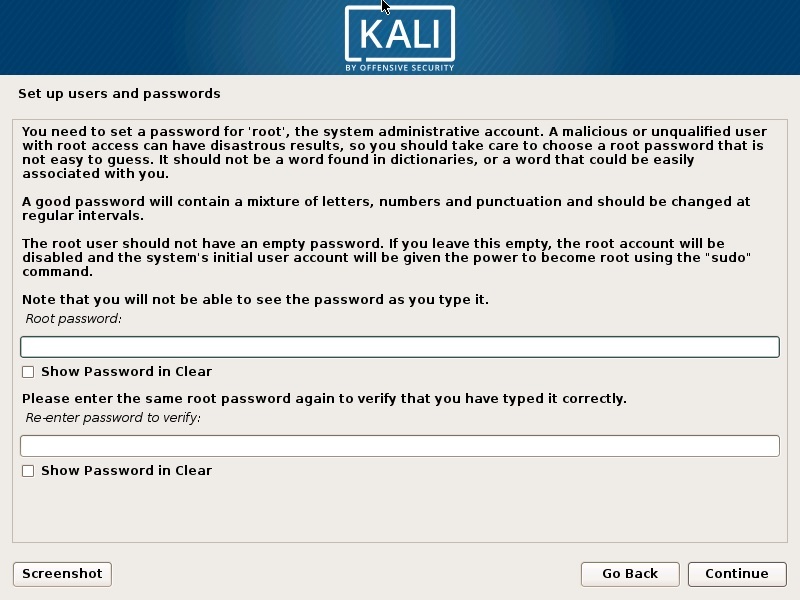 You should now see VirtualBox Manger and and a new Virtual machine Kali in poweroff state. 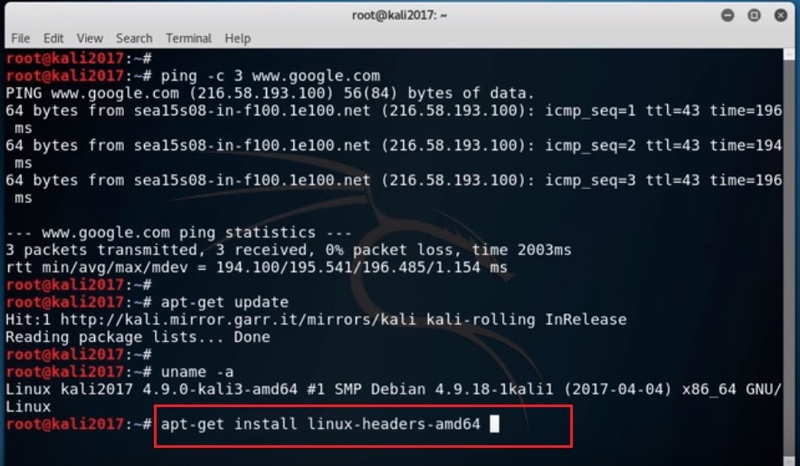 We will have to power on the virtual machine to begin the installation process of Kali Linux in the newly created virtual hard drive. But before we power on the virtual machine, there are more settings that needs to be done. Open the settings dialog box by right clicking on the Virtual machine name or in the menu go to Machine -> Settings. You also see Settings button in the menu bar. 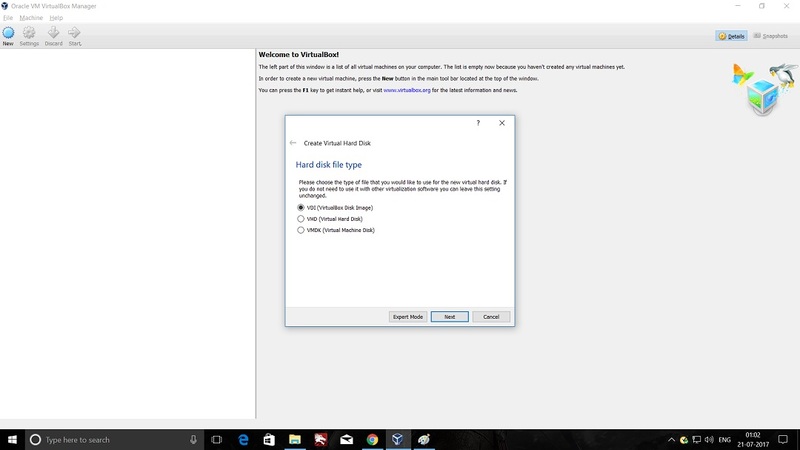 For this to work select the virtual machine and click on settings. Go to General -> Advanced tab – Change Shared clipboard and Drag’n’Drop to bidirectional. 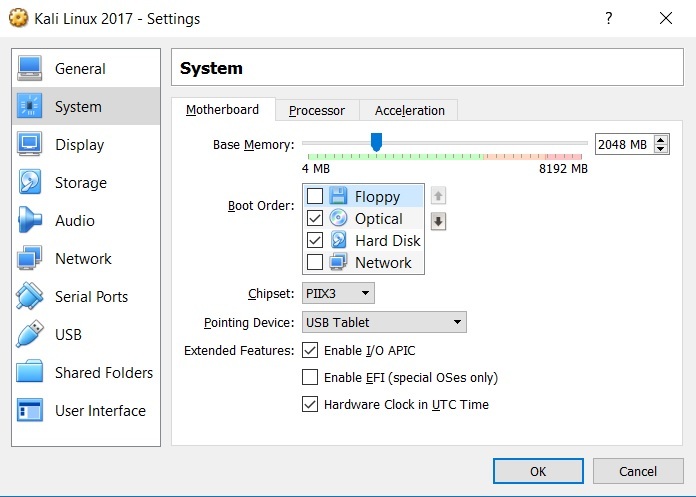 Go to System -> Motherboard tab – Uncheck floppy. Go to System -> Processor tab – Increase number of processors to 2 have better performance. You can leave it as it is if you want. leave rest of the settings as it is. 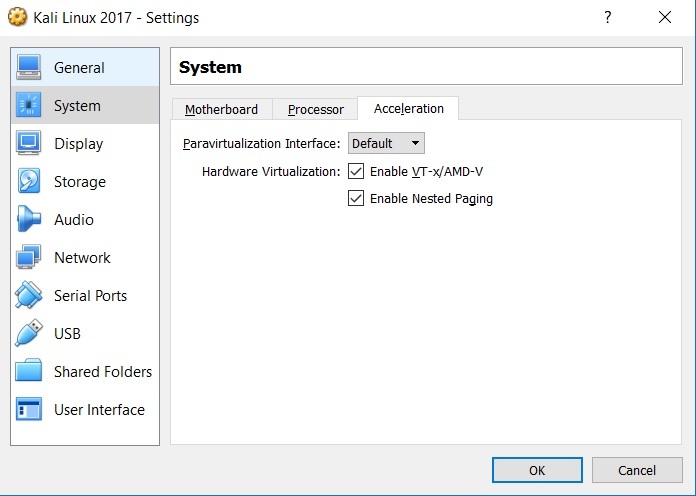 Go to System -> Acceleration tab – Default settings are Enable VT-x/AMD-V checked and Enable nested paging checked. leave them as it is. 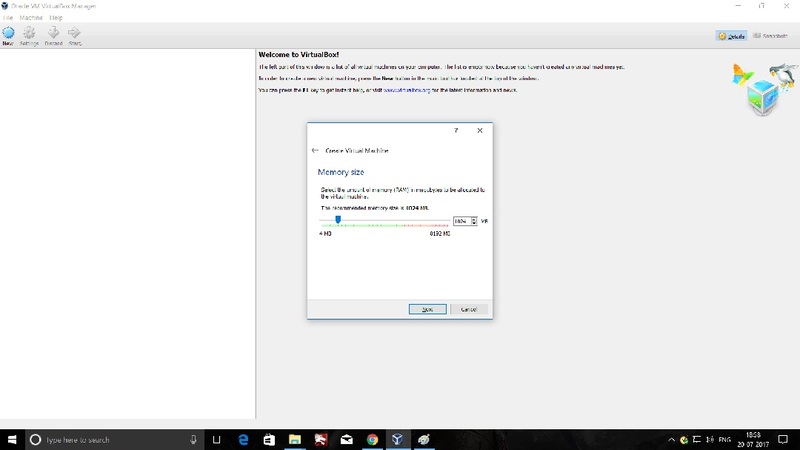 If you dont want to use VT-x/AMD-V, you can uncheck it, but there is no harm in using it if your CPU supports Intel VT-x or AMD-V.
Go to Storage-> Optical Drive attribute – Click on the disk Icon and select Choose Virtual optical Disk file and navigate to the ISO image that you have downloaded. Click OK to exit settings and return to VirtualBox Manager screen. This will power on the virtual machine and the installation process will start. ual installation starts. Wait for Configure the Package Manager Dialog box to appear. After login, if you want to switch to full screen mode, you wont be able to. What you will see is the resolution of 800×600 which is the default resolution. This is because, VirtualBox tools are not installed. Please follow the below steps to install VirtualBox tools. 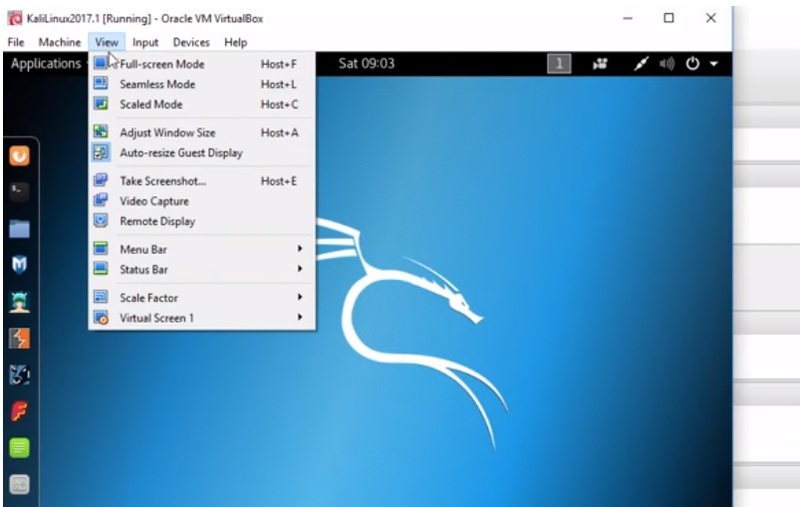 After the installation, reboot the newly created VM and you will be able to see the desktop with resolution same as your computer. 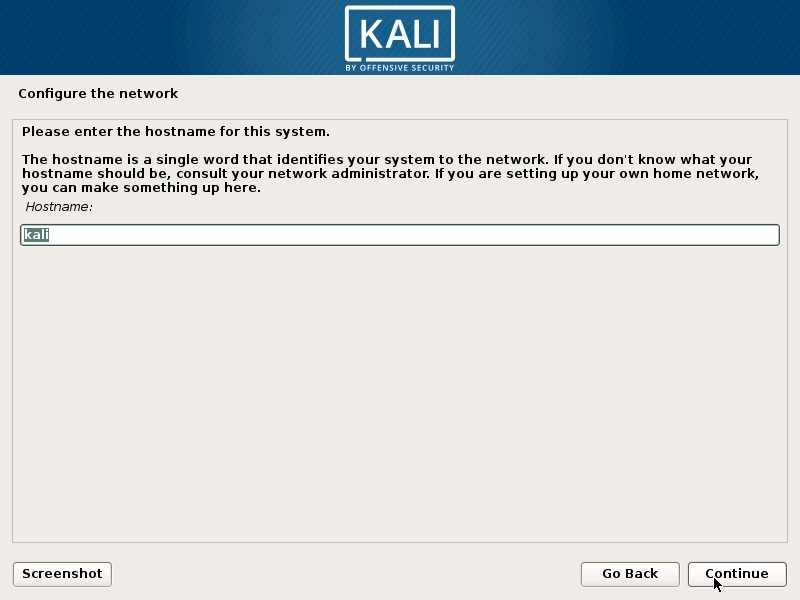 Update the Kali Installation. Type the following command in the terminal and press enter. Wait for the process to complete. Type the following command in the terminal and press enter. The process will take sometime to complete. Press Y for yes if asked for confirmation and wait for the process to complete. After the above process completes, Type the following command in the terminal and press enter. 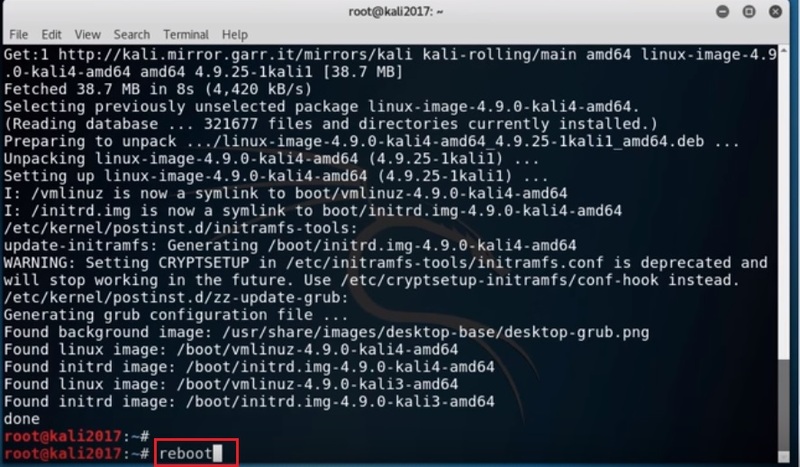 After the above process completes, reboot the system by typing reboot in the terminal and press enter. After the system reboots, open terminal again and type the following command. This will take some time. Wait for the process to complete. After the system reboots, to check if the every thing has installed correctly, please click on View in the menu bar and you should see Adjust Window size and Auto resize guest not grayed out and active. 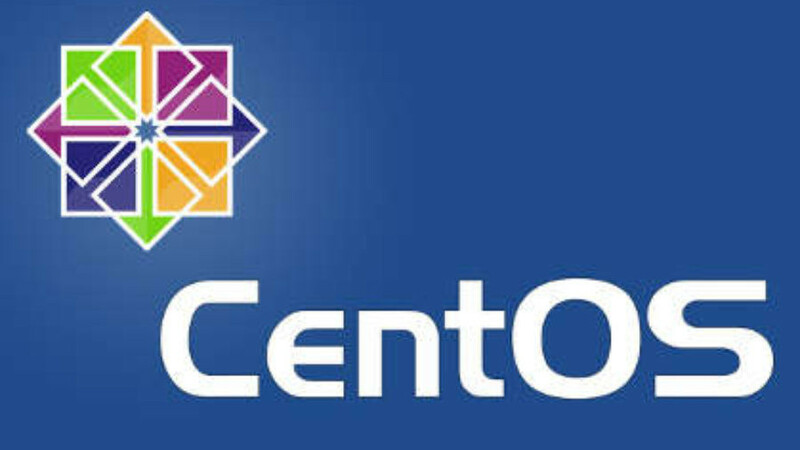 Plz mail me i need ur help in installing Kali and learning it. Hi there! Thanks for your tutorial, however, I’m stuck in step 13. When I clicked “graphic install”, those following windows to choose language, location, etc., haven’t appeared. I now have a black window saying Kali Linux is running. But it’s been like that for almost 24 hours! Any ideas of why this is happening and how to solve it? Thanks in advance. Hi Thanks for writing. This is quite peculiar. People get stuck at later stages but not right at the start. 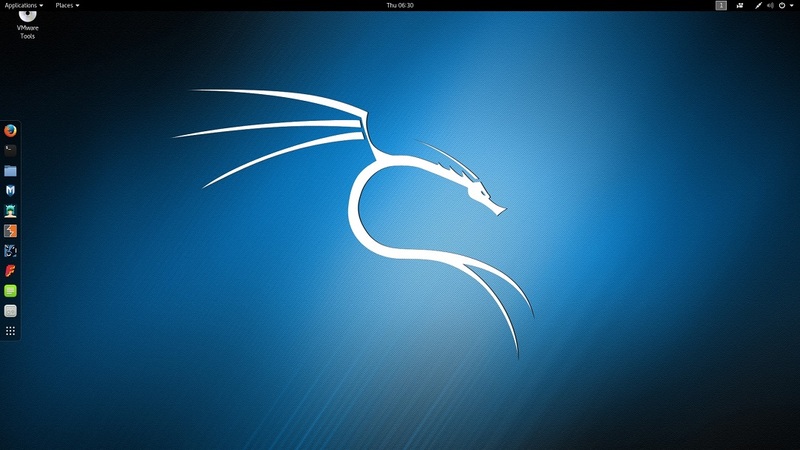 Can you try the VMware image provided by Kali Linux. There is no installation required. Extract the downloaded file using 7Zip and try to open it in VMware. Username will be root. Password toor. 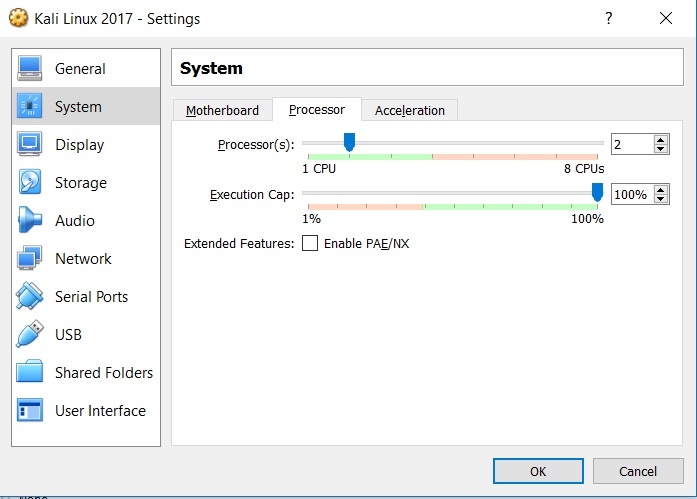 What if it doesn’t give me the option to use more then one processor or allow me to access Acceleration? In that case the performance will slow down. But still you will be able to work. But these days all the systems have multi core CPU, I don’t see a reason why you should not be able to do it. Hi – thanks for very helpful tutorial. 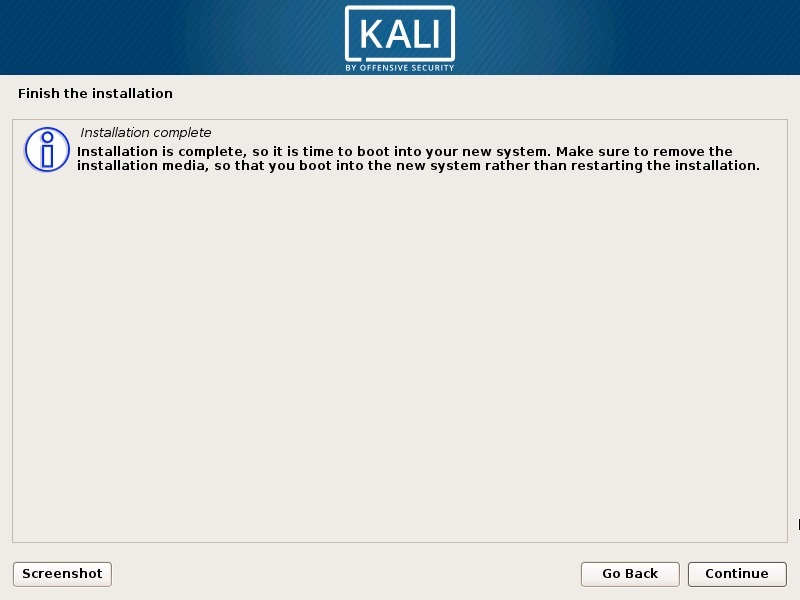 Everything worked except for step 3 for me – so I still can’t get Kali running in full screen mode. I tried twice typing the apt-get command, but I get a message saying “unable to locate package”. Has the name changed since you wrote this? Sorry, I’m new to this and don’t know how to check for myself. Can you try to run the below command, your virtualbox should be connected to the internet. and then rerun the steps. So I have to install the Vbox 32bit or only 32bit one?? There is no separate version of 32 or 64 bit VirtualBox. Download the version for Vbox available for download. If you have 64 bit OS, it will allow you to install 64 bit OS, else you will see only 32 bit OS option. 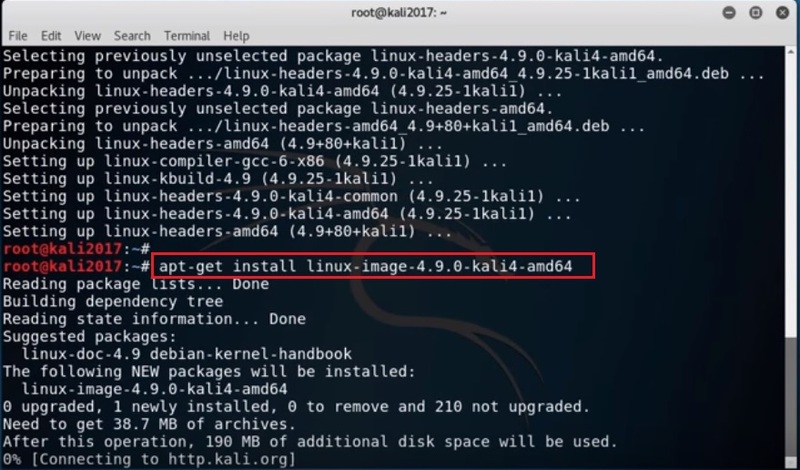 For 32 bit, you have to download 32 bit Kali Image. For 64 bit, you need Intel VT enabled in Bios. If you don’t have 64 bit system, don’t bother about it. 32 Bit will work just fine.